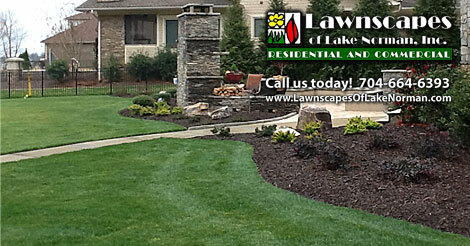 Lawnscapes of Lake Norman puts nearly 30 years of experience behind every plant we install or landscape we design. Whether you are looking for a rock garden, retaining wall, a water feature, large trees, hedgerows or perennials, our expertly trained and knowledgeable staff is ready to install the materials you need to make your vision a reality. No job is too big or too small. Contact us today for your free quote on landscape design.